You are able to block numbers from calling you within Sentle by making the following steps. Navigate to the 'phone configuration' tab, located within the System Configuration settings area. Selecting 'Blocked Numbers' will take you to the following screen. Within this screen you can simply add the number you wish to block by adding it to the box on the top left of the screen and choosing 'Add Number to Blocked List' where it will appear on the right hand side in the displayed list. If you wish to unblock any number, you can simply remove it from the list by selecting the red 'X' and confirming that you wish to remove the number. 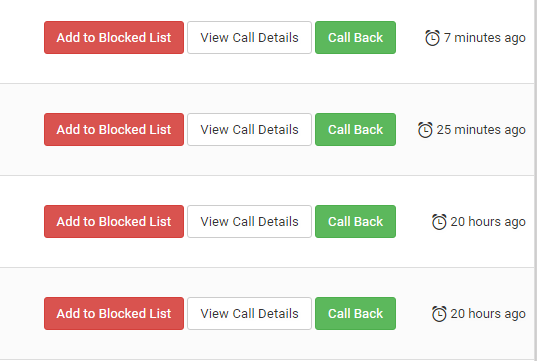 You are also able to block a number from the phone call area by using the 'Add to Blocked List' as below.